Yes, a person can improve their skiing or snowboarding skills by reading a book. I know it sounds strange, impossible even, but I know you can since I've done it! Years ago, when I lived in Vermont, I hit the dreaded "intermediate skier rut." Which is another way of stating that my skiing ability seemed to have hit a wall. No matter how nasty the terrain I went down, or how hard I tried to improve my technique, nothing worked. In a bit of desperation following a particularly exhausting and destructive day of skiing at Stowe, Vermont, I bought a book first published in 1993 called Breakthrough On Skis: How to Get Out of the Intermediate Rut. With the help of the books photographs and, in particular, the many diagrams, I was able to finally "break the wall" holding back my skiing ability. My balance improved dramatically, turns on the groomers got cleaner and tighter, my technique in powder vastly improved, and moguls were no longer the terrifying entity they once were. So yes, you can improve your skiing or snowboarding ability through the use of a book. 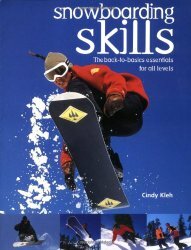 While a book can't teach a complete newbie how to ski or snowboard, once someone "has the basics" down an instructional book about skiing or snowboarding technique might just be the ticket to improve your skills dramatically. 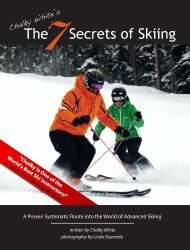 Breakthrough on the New Skis: Say Goodbye to the Intermediate Blues - This is the book that helped me break free from the intermediate rut. 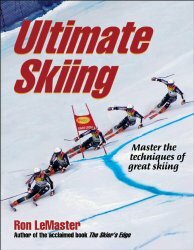 Highly recommended for advanced beginners and intermediate skiiers. But even experts mighrt find a few useful nuggets of information. Highly recommended! And recently updated. 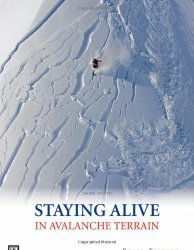 Staying Alive in Avalanche Terrain - This second edition of Bruce Tremper's acclaimed book is regarded as the most authoritative commentary on avalanche matters. 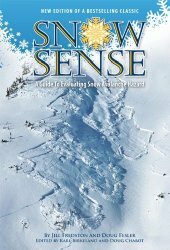 Snow Sense: A Guide to Evaluating Snow Avalanche Hazard - Snow Sense is North America's leading primer on how to avoid getting caught in an avalanche. Total Skiing - Author and renowned ski instructor Chris Fellows shares his proven pyramid program for assessing skills and creating your skiing profile. 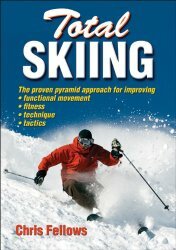 The 7 Secrets of Skiing: A Proven Route to Advanced/Expert Skiing - This book's offers skiers a functional way of developing dominance over mind, body and equipment - allowing the skier to reach the advanced & expert level. Mastering Snowboarding - Ever watched professional snowboarders and wanted to pull some of the same tricks they make look so simple? 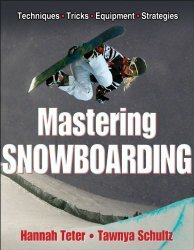 If so, Mastering Snowboarding is the resource for you. Snowboarding Skills: The Back-To-Basics Essentials for All Levels - This best-selling guide is ideal for those starting out as well as the more experienced boarders looking to fix a persistent problem or just improve their skills. 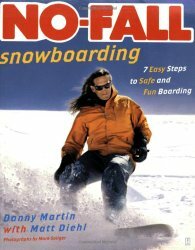 No-Fall Snowboarding: 7 Easy Steps to Safe and Fun Boarding - In this groundbreaking book, Danny Martin teaches you how to snowboard in just three days - and without falling. Ultimate Skiing - Break through to the next level of ski performance! Renowned instructor, coach, and ski technique expert Ron LeMaster takes you beyond The Skier's Edge by improving, expanding, and enhancing that seminal work. 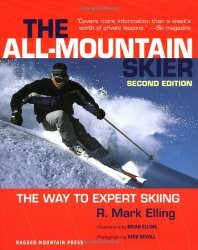 All-Mountain Skier : The Way to Expert Skiing - The All-Mountain Skier helps skiers advance their skills with a foolproof, self-instructional program for mastering advanced techniques in even the most challenging conditions. 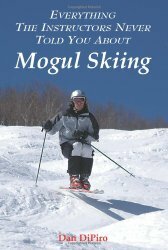 Everything the Instructors Never Told You About Mogul Skiing - Whether you want to ski gentle moguls with comfort and confidence, turn heads on your local mogul run, or compete in mogul contests, this book will give you the specialized techniques you need to reach your goal. Learn more about the skiing in Montana.